Flight time 14 hrs from the UK. 9 hrs from NYC. Arrive in Panama and it’s hard not to feel like you’ve stumbled upon a secret the rest of the world has yet to discover. With fascinating history, beautifully bohemian towns and breath-taking scenery, Panama has all you need for an incredible, action packed luxury holiday. Small things come in good packages, and we’ve handpicked our favourite places to give you an unforgettable, all-encompassing 12 night trip, trust us, you won’t be disappointed. Home of the Panama Canal, Panama City not only boasts impressive human engineering, but incredible history too. Visit the ruins of old Panama, which was destroyed by fires in 1671, climb up the cathedral tower, visit the old Panama museum and explore the nearby town of Balboa, formerly part of the Panama Canal Zone. After a day of historical discoveries retire to your hotel; a former bakery built in the 1850’s situated in the bohemian neighbourhood of Casco Viejo, Panama City’s old quarter. Decorated with fresh, modern interiors, exposed rustic stone walls and local art, Casa Del Horno is the perfect, luxury city bolthole. 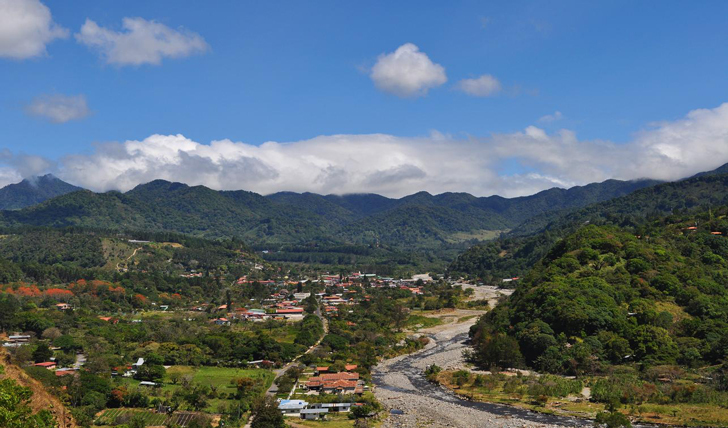 Hop on an hour long flight to David, where you’ll be driven to the beautiful mountain town of Boquete, nestled in a volcanic valley amongst luscious rainforest and meandering rivers. Rest your head at the charming European-Panamanian Panamonte Inn and take in the crisp mountain air, stunning surroundings and tranquil atmosphere. A trip to the nearby coffee plantation is a must; discover the whole coffee making process from harvest to cup, with visits to a modern environmental coffee processing plant and delicious coffee tastings at the end. Experience the unspoiled cloud forest on a hiking and birding tour with a naturalist guide and discover the exotic flora and fauna, such as ancient moss-covered trees, epiphytic plants and orchids, along with the beautiful birdlife, including orange-bellied trogons, black quans and the resplendent quetzal. 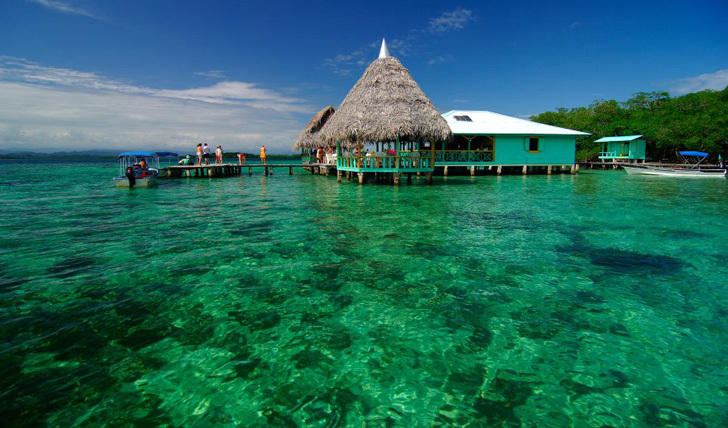 Your next stop is the beautiful Bocas Del Toro archipelago, and Tranquilo bay – an eco-adventure lodge surrounded by the Bastimentos national park. Situated on Panama’s north Caribbean coast, you’ll find yourself amidst three eco-systems and in one of the most bio-diverse places on the planet. For a real secluded beach experience, a trip to salt creek village takes you through the dense canopy of mangrove trees to the indigenous village of Quebrada Sal, where you’ll cross the rolling open pastures of the village and explore the rainforest as you hike towards Playa Larga, a beautifully pristine beach and home to four species of endangered turtle. Our favourite, the Zapatilla caves, offers the ultimate snorkelling and scuba diving experience in the Caribbean, with two unspoiled islands and countless dive sites, most no deeper than 60ft. Breath-taking coral reefs encircle the islands with incredible oceanic formations consisting of tunnels, pinnacles and freshwater caves, bursting at the seams with marine life. For a real treat and one of our favourites, a night-time kayak excursion takes you to discover one of nature’s most awe-inspiring oddities, bio-luminescence, otherwise known as fireflies of the sea. These tiny marine invertebrates illuminate in the presence of light, which can rapidly spread over 100 feet, lighting up all marine life in its path. Spend the last few days of your trip relaxing at the vibrant El Otro Lado hotel in Portobelo bay, which boasts a peaceful infinity pool overlooking the Caribbean and some of the best ceviche we’ve ever tasted. Explore both the land and sea with a picnic on a deserted island, or simply kick back, relax and enjoy the rest of your stay in this incredible country.